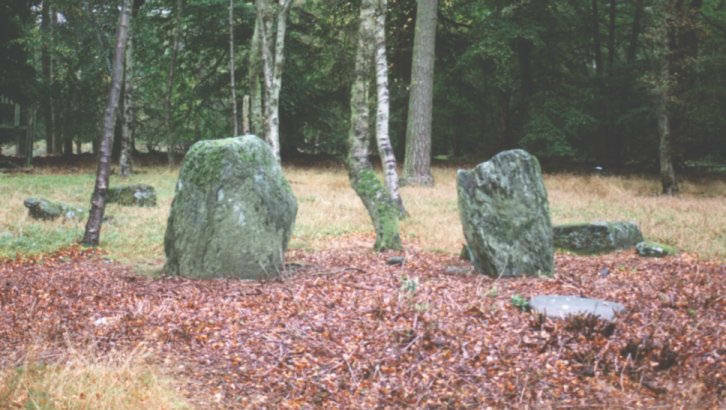 These pages show some of the stone circles and other similar sites in the Angus and Perthshire area. Information is provided regarding finding the sites, and photographs of the sites themselves wherever possible. The photographs were taken by myself and as such are "Copyleft" - if you like them, copy them, but read this page first. If you plan to track these sites down yourself, then you should use the Ordnance Survey Landmaster series of maps, on which all the co-ordinates are based. Some of the sites are a bit off-the-track, and may require a little navigational skill to find! Permission should always be sought to enter private land - and read The Charter of Responsible Megalithic Webmasters first. The laws on outdoor access in Scotland have changed with effect from 9th February 2005, and you are recommended to read the Scottish Outdoor Access Code to prevent any misunderstanding of the new law. Please remember always to be courteous and request access whenever this is practicable. If you know of other sites you think should be included, please e-mail me with the name and rough location of the site. The illustration above is of the western Bandirran circle. John Bennett, a local expert on antiquities, gave assistance on the location of some of these sites, and thanks are due to him. Descriptions of the sites, where available, have come from a variety of sources, not least of which is The Royal Commission on the Ancient and Historical Monuments of Scotland. Further information about some of these sites can be found at Historic Scotland's web site and also that of SCRAN. Dundee Arts and Heritage Department have also provided some assistance, for which many thanks. Aubrey Burl's well known books, and Historic Scotland's "Neolithic and Bronze Age Scotland" have also proved highly useful. Credit is due to the local paper, The Courier, for some historical backgrounds and a bit of free publicity. This site came into being in September 1999 at the behest of Andy Burnham (it's all his fault!). Many sites featured here contain links back to The Megalithic Portal, his definitive site. I was also a regular contributor to Julian Cope's site The Modern Antiquarian. You should visit Paolo and Ariego's Stone Pages, too. Thanks are due to my wife, Cath, who has navigated on several trips on the promise of a pub lunch at half time. My daughters Gemma and Alison also accompanied me on a couple of trips, just for the exercise. The Scottish Megaraks (short for Megalithic Anoraks...) also organised site visits on odd occasions, when there was a good eating place nearby - sadly, we are now scattered to the four winds... This site was last fully updated on 10th August 2006, though minor revisions have been made since.